"proving the olde way is best"
We Are What Others Try To Be. "Often Copied but Never Bettered"
Ask us About our Bespoke Sizes. Still Made Using Age Old Skills. Over 30 Years in Lydd, Kent. Visit our factory by appointment. 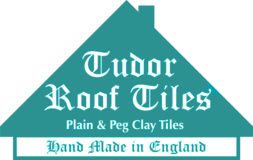 "Tudor's handmade clay tiles are a high-quality option for any homeowner undertaking a heritage project or looking to create an authentic period feel on a new build" "Made by hand in Britain, they are the roof tiles recommended by architects, planners and conservation officers"
Why Buy Tudor Handmade Roof Tiles? A great roof is about great roof tiles. Equally, its about technical expertise and experience. It’s about outstanding products, quick supply and reliable delivery. It's about the trust you have in a supplier who understands your aspirations. That’s why at Tudor, we put far more into a roof tile than just clay. We have most standard UK sizes in stock. Choosing a roofing material is a key decision when building or renovating a home, as the roof is a dominant feature of the building. Traditionally made from locally available materials, English handmade clay roof tiles have always encompassed pleasing aesthetics with durability. When used as exterior wall cladding, clay roof tiles are an excellent way to add character to modern properties, including those which may already have ordinary and unattractive machine made clay or concrete tiles on the roof. Using the finest English clay, traditional hand making skills and the latest computer controlled kiln firing technology, we have an enviable experience in handmade clay tiles and fittings. This enables us to offer advise, technical expertise and an acknowledged 'AAA' customer service. All products conform to BS:EN 1304 CE Mark, and are guaranteed for durability. use cursor to pause, go to next, return to previous. Justin Sollis, Managing Director, Sollis Roofing. Lee Szabo, Managing Director, Sherwood Roofing. Judges comments - RCI awards 2018 - KCS Wimbledon Music School. 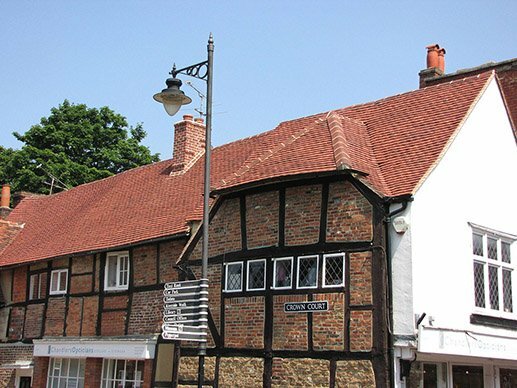 “I find that Tudor roof tiles are perfect for clients who own older or maybe listed properties and wish to recreate the historic hand made look, whilst still having the dependability and guarantee of a new tested product. This is also true for for my new build clients, who have chosen to design their developments in a more traditional manner, and are looking to source English made materials that combine traditional aesthetics with modern quality standards." Mark Holsman, Managing Director, Heritage Roofing. Judges comments - Built It awards 2018. Our clay roof tiles are available from all leading building and roofing merchants. All Tudor roof tiles are made in England. Factory visits and tours available by appointment. Tudor is the largest independent handmade only roof tile manufacturer in the UK. Tudor Roof Tiles provide a comprehensive range of colours in clay. At our modern manufacturing plant in Lydd on the Romney Marsh, our craftsmen form and shape the product to your exacting specifications. Our popular Peg and Plain tiles are available in traditional sand faced colours as standard. Giving the ultimate look, no two Tudor products are identical. Variations in thickness, colour and size create a truly unique roof. All Tudor tiles have the advantage of being performance guaranteed. When used as exterior wall cladding, hanging handmade tiles are an excellent way to add character to modern properties. Hanging tiles boost 'kerb appeal' to buildings which already have ordinary and unprepossessing machine made clay or concrete tiles on the roof. 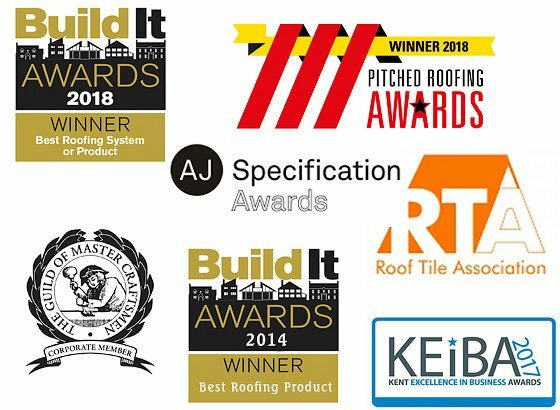 Members of the Roof Tile Association - The Roof Tile Association represents the UK’s leading manufacturers. Members of the British Ceramic Confederation - The British Ceramic Confederation represents the collective interests of all sectors of the UK ceramics manufacturing industry. Accredited by The Guild of Master Craftsmen with their Seal of Approval. Tudor’s classic handmade plain and peg clay roof tiles are crafted and formed to be the greatest roof tiles on the market. Our craftsmen use only the highest quality materials to create stunning traditional handmade clay tiles, which can withstand the harsh weather the UK winters bring. Experience is essential; using the latest technology gives us the ability to perfect the manufacturing process, ensuring that each clay tile is thoroughly checked allowing us to catch any imperfections before being released for projects and home renovations. Choosing the right clay tile for your project or home renovation can be a daunting task, which is why our experts are on hand to help. We offer experts with extensive knowledge; we can walk you through every step and send out tile samples, ensuring your money is spent on the right product. We believe in excellent customer service and going the extra mile to provide a smooth and enjoyable experience. 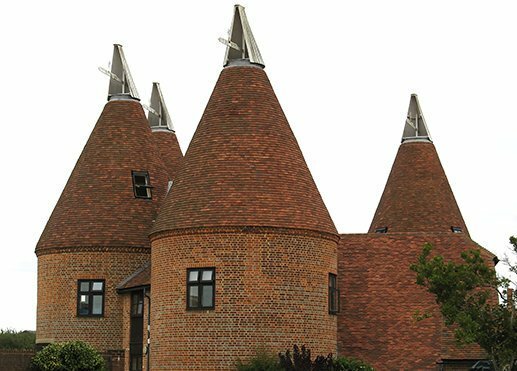 Take a look at our extensive range of traditional handmade plain and peg roof tiles made at our factory in Romney Marsh, Kent. Available Nationwide, to find out more please call us on: 0179 732 0202.
handmade clay roof tile manufacturer in England. We are proud to be part of a small number of true British manufacturers of British tiles. We are available to advise on your restoration or new build, particularly where the emphasis is on re-creating the historic look of the roof, or where bespoke tiles are required to create an architecturally stunning new build. Our factory and head office is in Lydd, Kent, TN29 9JH. Factory visits are welcome (by appointment), where you will see the production and the hand making skills. Directions to the factory / office. Speak to a person, Nikki and/or Lucy. Use the web - message and/or email.